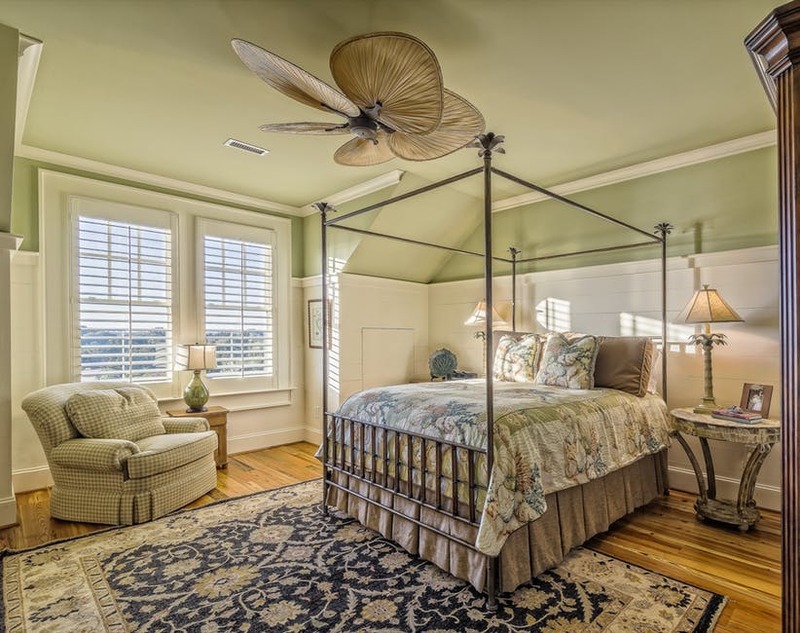 As years go by home improvement designs has also improved in a way that focuses on the betterment of the household’s well-being— that through their home’s environment, their abode could provide a peaceful state of mind and coziness to those living in it. Hygge is a type of design that fits into this category which became an adored trendy design by many. Hygge—pronounced as 'hooga'— is a Danish word that closely means as “well-being” which in essence, means creating a warm atmosphere and enjoying the good things in life with good people. As what Morten Georgsen stated, “Hygge is a state of mind” and it has been integrated as a design wherein one could enjoy its quintessence. Up for some bedroom makeover? Your bedroom, no matter what the design is, should always be well-kept since it serves as a sanctuary for and a place where you relax to replenish one’s energy after a long and tiring day. Notice that if your bedroom is messy it will make you feel more stressed and anxious which is definitely not a conducive place to be relaxed and cozy. Keep stuff at bay and only have the belongings that you actually need or love in the bedroom. What you accessorize your bedroom should stimulate happy thoughts, soothness, and spark joy. If you are having a hard time organizing your belongings try having a multi-functional furniture such as a bed with built-in drawer or tables that have storage spaces to avoid clutter. Hygge interior design should be comforting and calming to look at, so you should avoid bold colors or bright color palette since these kinds of a color scheme may prevent you from having a relaxing atmosphere. The colors you choose should create a harmonious and peaceful atmosphere, which why when it comes to hygge, a neutral color scheme fits best. Rustic tones such as earthly brown colors or chalky pastels mild mint, raspberry ice, surely fit best for a neutral palette. Add texture for your hygge inspired bedroom, like combining chunky knot blankets and cushions or throw in some faux fur throw pillows or fluffy rugs to add texture and help soften the room. All these added bedroom décors add a cozy atmosphere which defaults your thoughts to soft, snuggly textures that makes you feel all warm and sleepy. Also, mixing textures and layering fabrics in the bedroom creates a feeling of comfort, warmth, and relaxation. Bedroom designs wouldn’t really bring much relaxation if comfort is neglected. Your bed is the most important furniture inside your bedroom and it should serve its purpose—warmth, and comfortability. In order to relax and enjoy its comfort one should have a mattress that would fit rightly for your needs, search for the best mattress through online by reading mattress reviews to avoid spending too much time and effort in looking for the best fit. Have you seen those twinkly lights or fairy lights while searching for that pretty bedroom design? You may have not figured it out but it’s the hygge interior design. Fairy lights are very ideal when it comes to this design since they give off a very soft light which is perfect for bedrooms and add another layer to your lighting scheme. Additionally, did you know that Denmark which is the inspiration for this trend is one of the largest consumers of candles per capita? This is why candles are one of the must-have décors inside your bedroom, which also create a sense of coziness and serenity. One of the principles of hygge is being happy and enjoying the space that you’re in, so choose the stuff that you put inside your bedroom that evokes happy and warm feeling. Also, your bedroom should be a sanctuary that allows you to take refuge from the stresses and worries of everyday life. So, organize your bedroom with items that allow you to feel refreshed and happy such as books, magazines, plants, artwork, music or pets, or just simply choose things that enables you to unwind and enjoy the small everyday pleasures that soothe your soul.